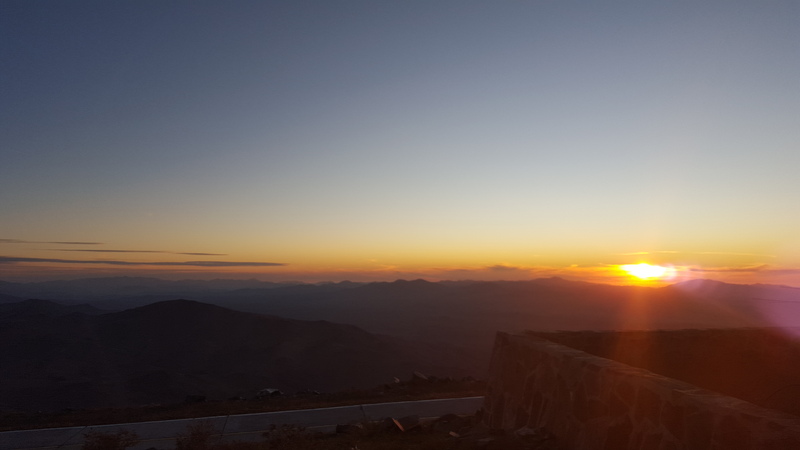 Steven Silverberg from our science team just came back from South America where he went to observe some Disk Detective Objects of Interest with the DuPont telescope. Here’s his story. 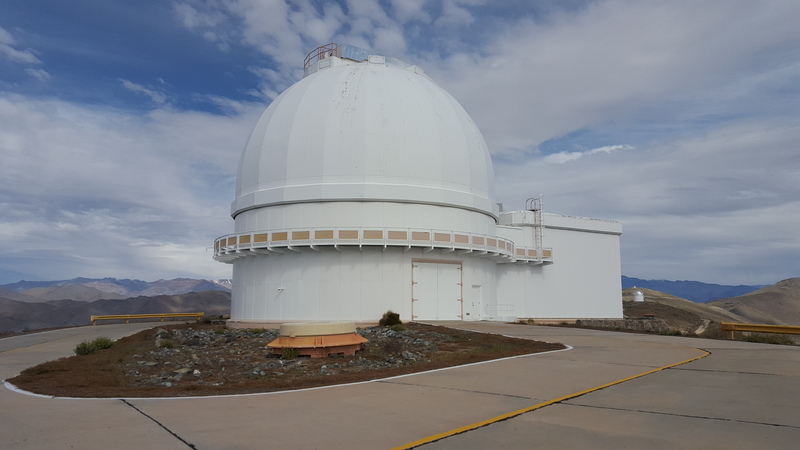 We have a program to take high-resolution images in the near-infrared band (between the DSS “IR” band and 2MASS “K” band we use on the Disk Detective site) with the 2.5m DuPont telescope at Las Campañas Observatory, one of the premier observatories in the world. It’s similar to our follow-up program with Robo-AO; the images help us double check for background galaxies and stars that could be lurking very near to our disk candidates, so close to them that they wouldn’t appear in the data we already have. 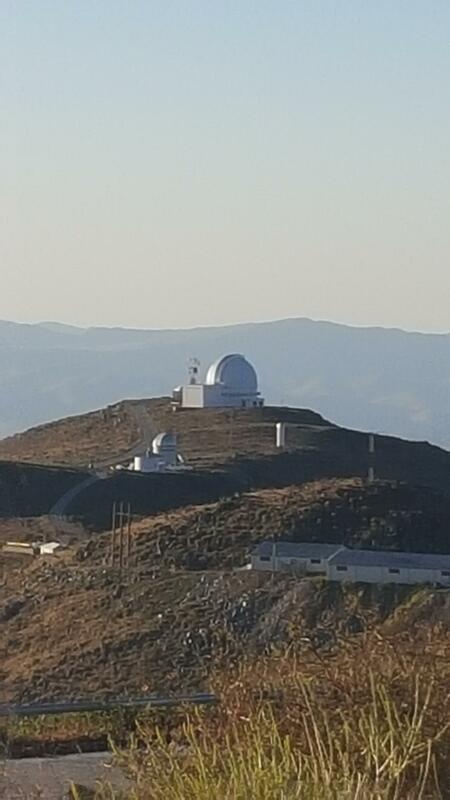 We have access to this telescope in Chile thanks to Johanna Teske, a member of our science team at the Carnegie Institution for Science. 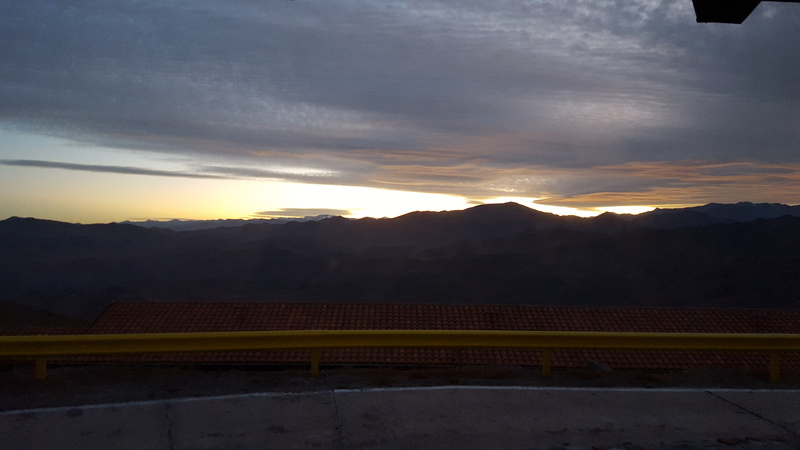 Because Johanna couldn’t go on the observing run this time, I went to South America. 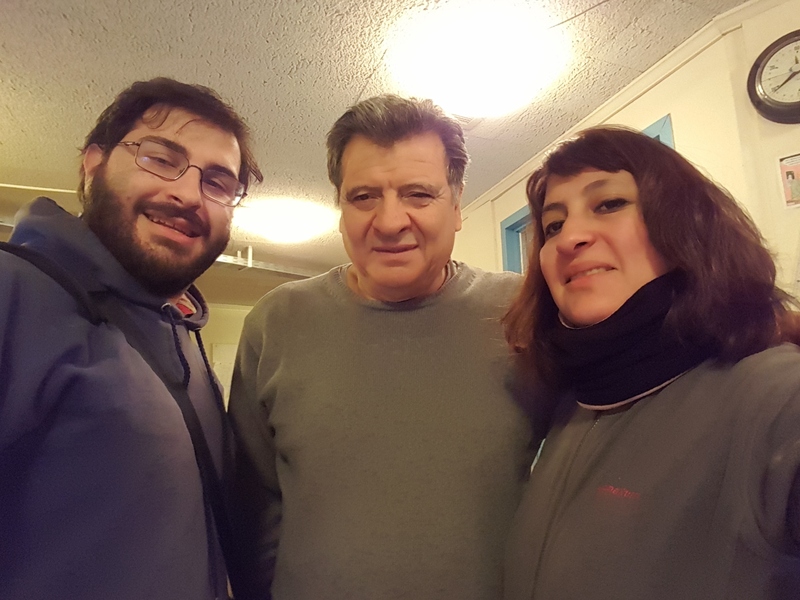 It was my first time outside the US–very exciting! The first thing that struck me were the spectacular views. 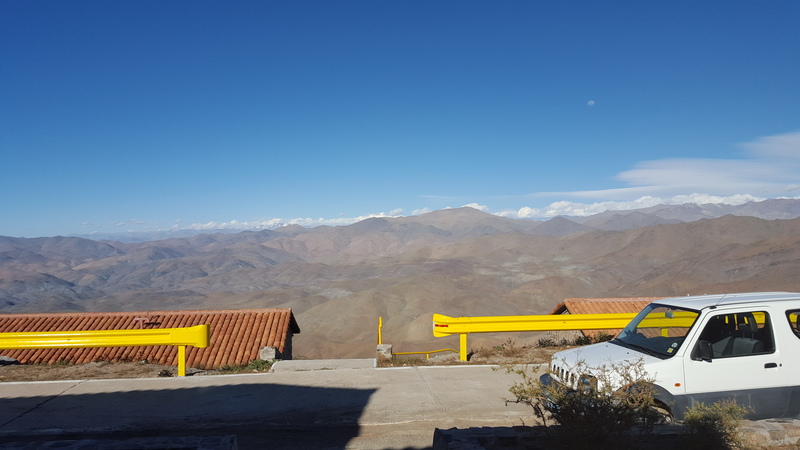 LCO is 2,380 meters (7,810 feet) up in the edge of the Andes. For someone who grew up in the part of Texas that doesn’t have mountains, it was rather incredible. 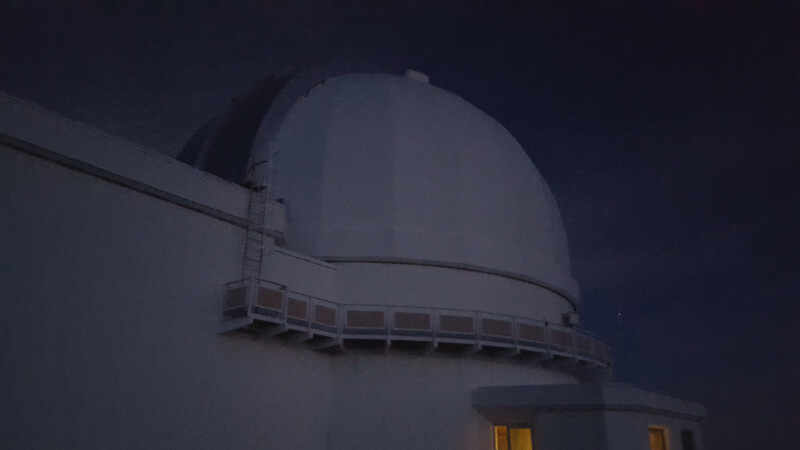 My first night there was spent shadowing an observer for the Carnegie Supernova Project, an ongoing campaign to fully characterize the behavior of supernovae in multiple bands. Unfortunately, most of this night was wind-ed out. DuPont has a firm wind speed limit of 35 miles per hour; anything above that, and the dome must close. Most of DuPont’s controls are handled by computer. 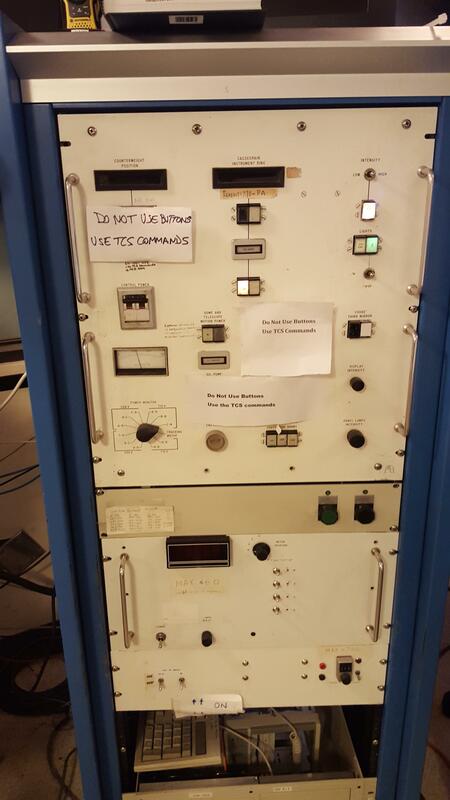 However, one last panel from the original control board is used for operating the lamps used for calibrating the detector (the dials next to the LCD readout). The rest of the panel has been superceded by computer, hence all the “Do Not Use” signs. One upside to going nocturnal for telescope time: you’re awake for amazing sunrises and sunsets. In this case, morning twilight on the mountains to the west. 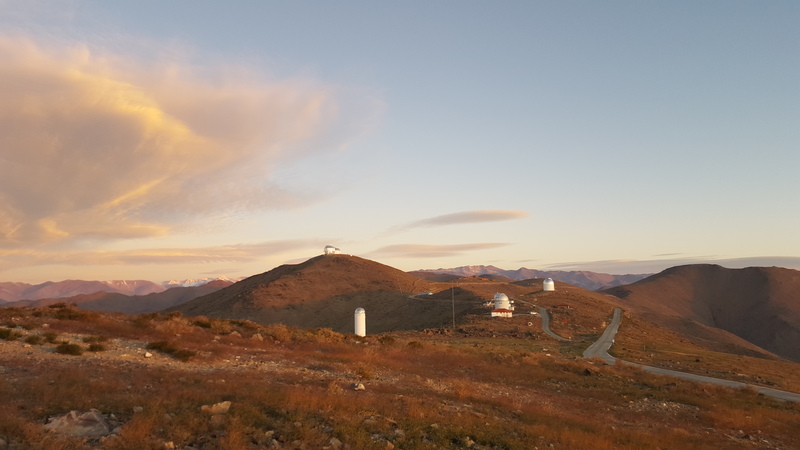 The most impressive feature of the observatory was the mountain on which the twin Magellan telescopes reside. 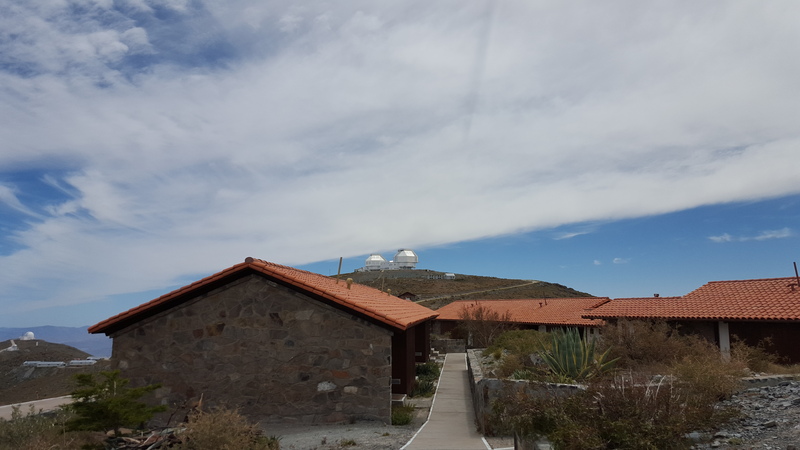 These two telescopes, each 6.5 meters in diameter, loom over the observatory lodge. LCO will eventually (by 2025) be the site of the Giant Magellan Telescope, which (along with telescopes like JWST) could be used to image Disk Detective disks! 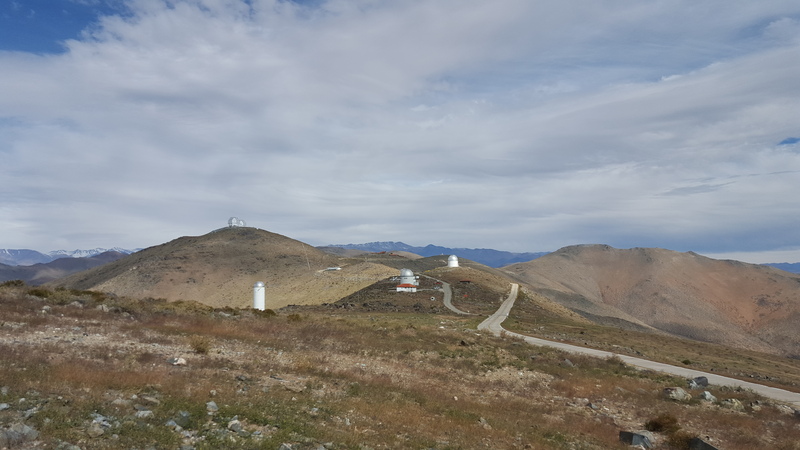 There are two other major telescopes at LCO currently: the Swope telescope (in the foreground) and DuPont (centered), where we conducted our observations. These are the two oldest telescopes on-site; the Swope went on-line in 1971, while DuPont came on-line in 1977. Because of the timing of my visit (right around full moon), I was able to get some excellent images of moon-rise. This one was taken before my first night of observations, which (like the night prior) was mostly lost due to wind. However, we were able to get 19 objects imaged on night 1, despite losing several hours to wind. The sunrises were absolutely beautiful while I was on-site. I enjoyed taking pictures of them. 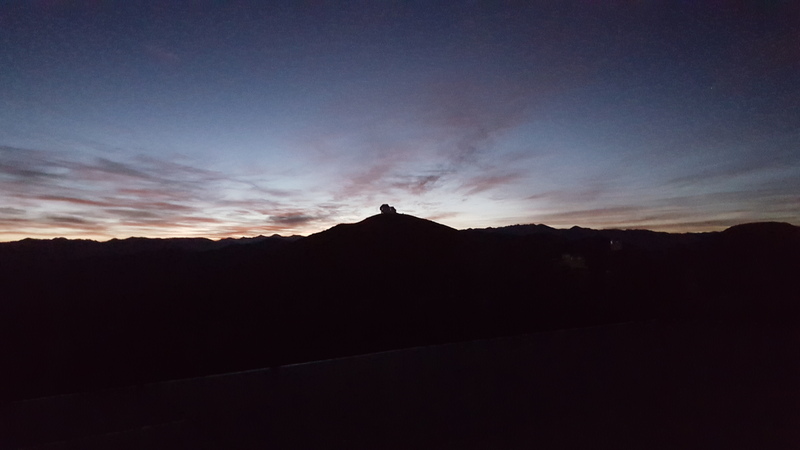 These are several different captures of the sunrise after night 1 of Disk Detective observations, taken from my room at the lodge. This was the view looking south from the lodge. The road below is the road back down the mountain from the site. GMT will be built on one of the mountains down here, to the left of this shot. This is how the observatory looked when viewing from DuPont. Magellan is in the background left; the Swope is in the middle. The road from DuPont back to the lodge. 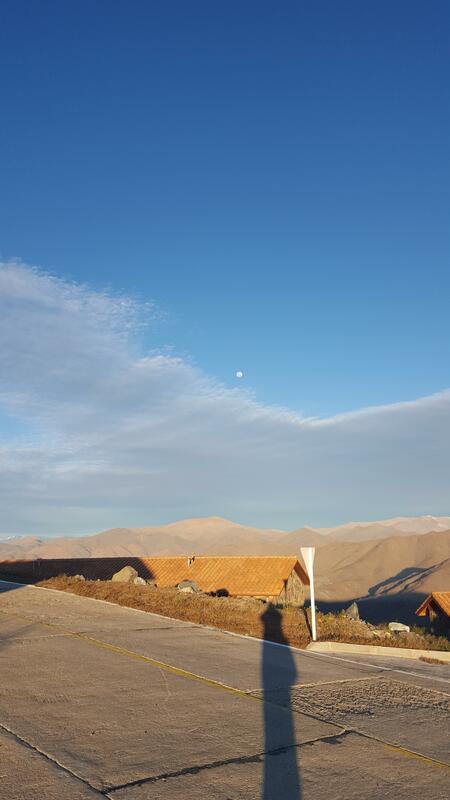 As one might expect for a mountain in the Atacama desert, the local foliage was rather sparse. The same weather conditions that lead to this sparseness make LCO an amazing site for astronomy. 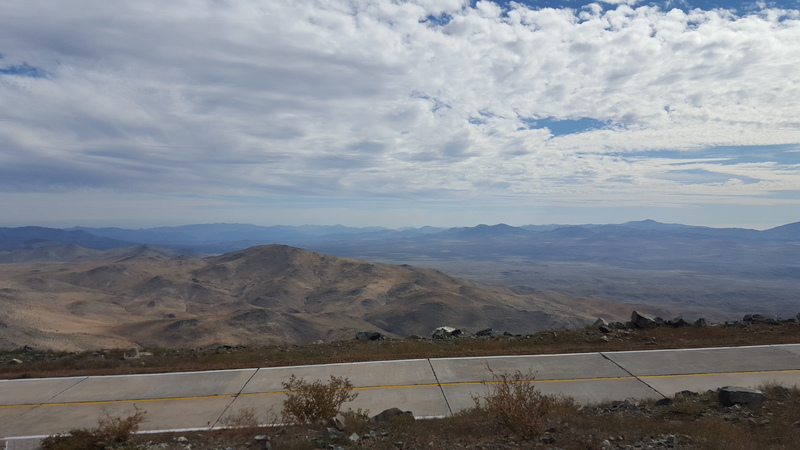 You could see some snow-capped peaks of the Andes in the distance, which were rather incredible to see in person (albeit not particularly close by). 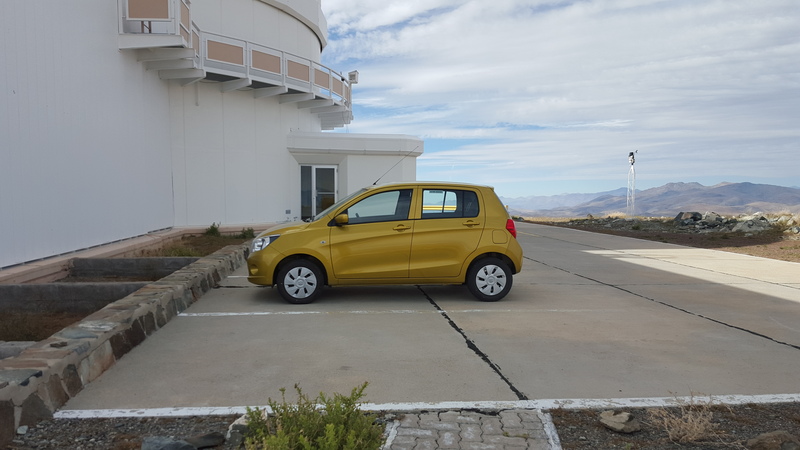 While on the mountain, I got to use a car reserved for DuPont observers. 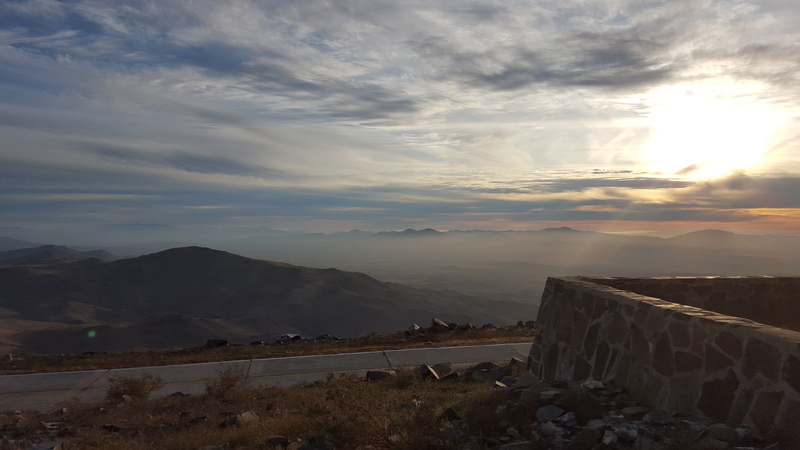 Having never driven on a mountain before, that was new and different…and a bit frightening. Especially driving down the road above at morning twilight, with limited visibility. The actual DuPont dome. It was quite big (as one would expect, to house a 2.5-meter telescope). 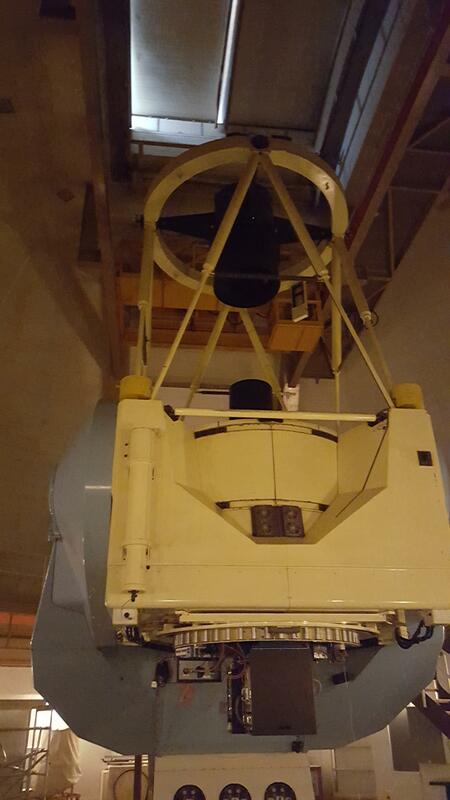 The actual DuPont 2.5-meter telescope. Rather than use a (rather heavy and difficult to maintain) tube to support the secondary mirror (at the top), this telescope uses a truss to support the secondary mirror. As you can gather, this telescope was rather huge. 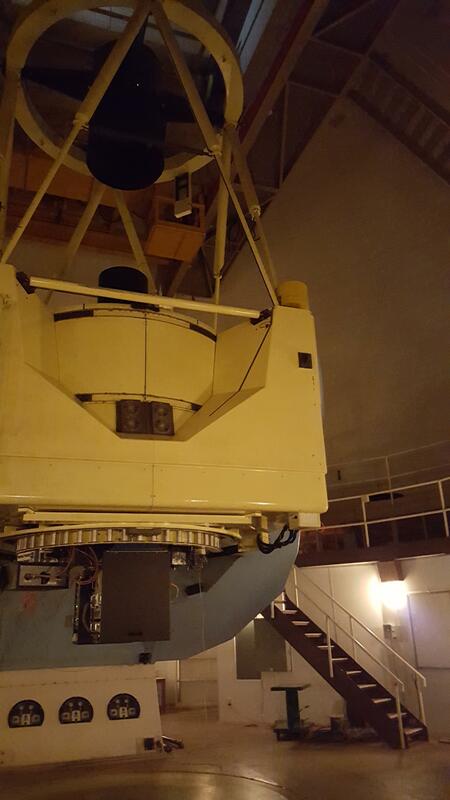 To give you an idea of how big this telescope was/is, here’s a picture of just the base, with a nearby staircase for scale. The staircase went up about ten feet. This was the sunset before my second night of observations, as taken from DuPont. 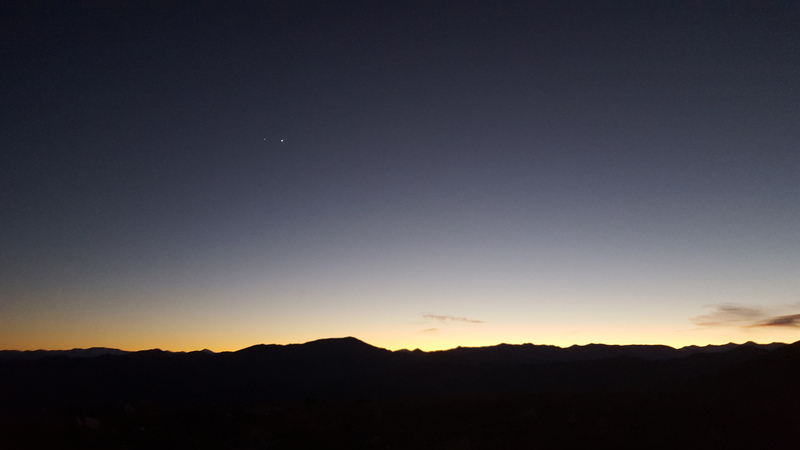 The clarity of the sunset shows just how good the skies are at LCO, making it perfect for astronomy. …as well as the mountains to the west. The Moon shining down on DuPont during night 2. 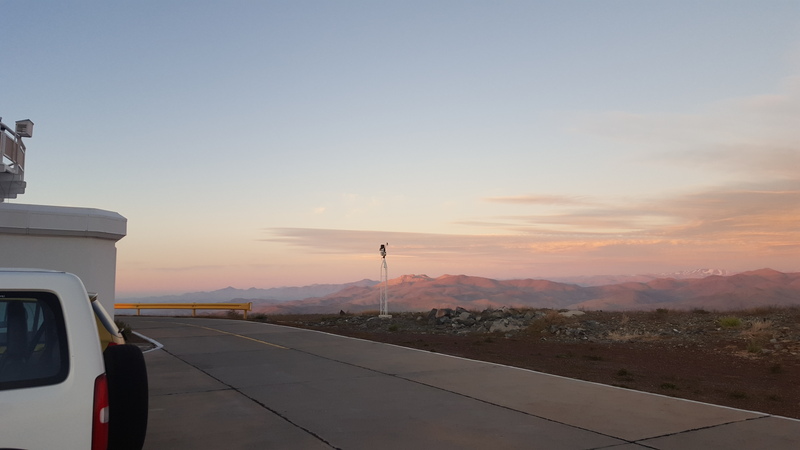 During the observing run, there were some points where we needed to pause briefly, to let the sky catch up to where the telescope could see. During my time on DuPont, I worked with two telescope operators. These telescope operators handled the movement of the telescope, taking coordinates I gave them and slewing the telescope to its correct position, as well as adjusting the focus. This freed me up to focus on the astronomy, and made sure that someone who knew what they were doing with this particular telescope (as opposed to me, who had never used it before) was making sure the telescope was operating correctly at all times. 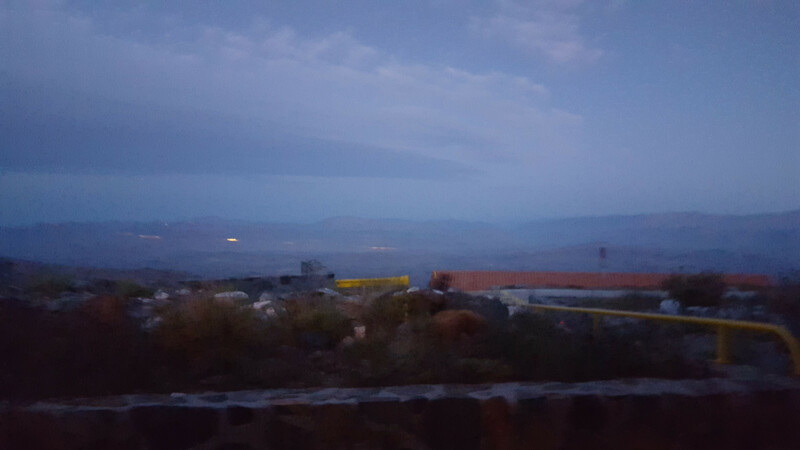 Sunrise at DuPont after night 2, during which we imaged 40 targets. The two bright dots in the sky are Jupiter (the dimmer dot, to the left) and Venus. Mars was up as well. 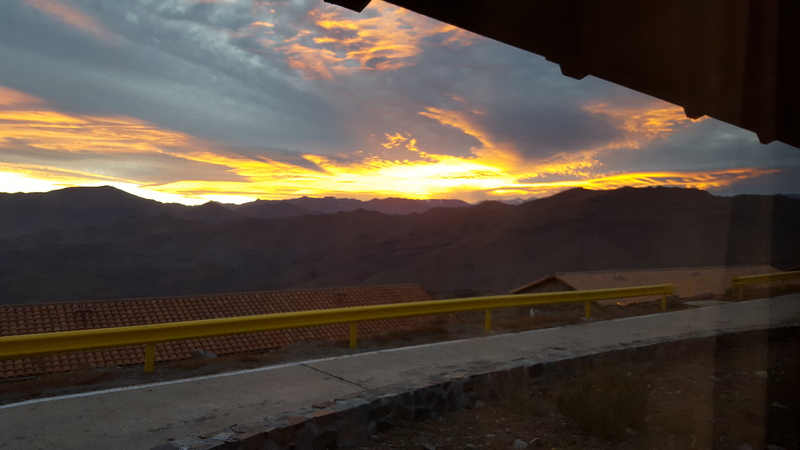 Sunrise over Magellan. Sunrises were pretty cool here. 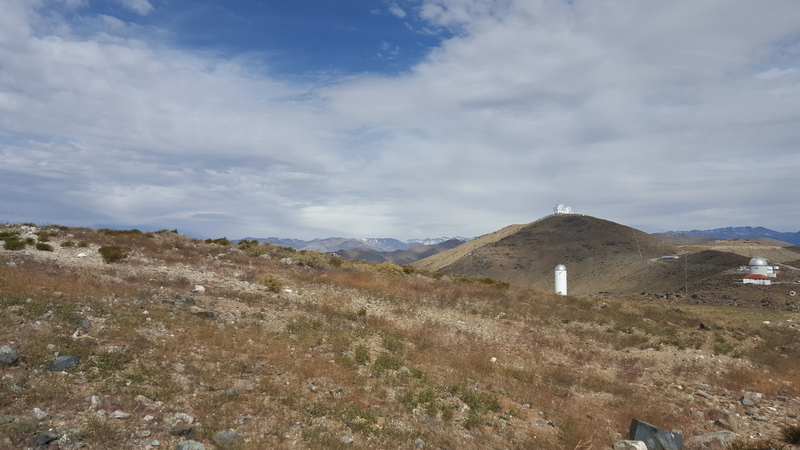 While at LCO, I was able to get a few pictures of the European Southern Observatory-La Silla, which is on the next mountain over–the observatory next door, as it were. 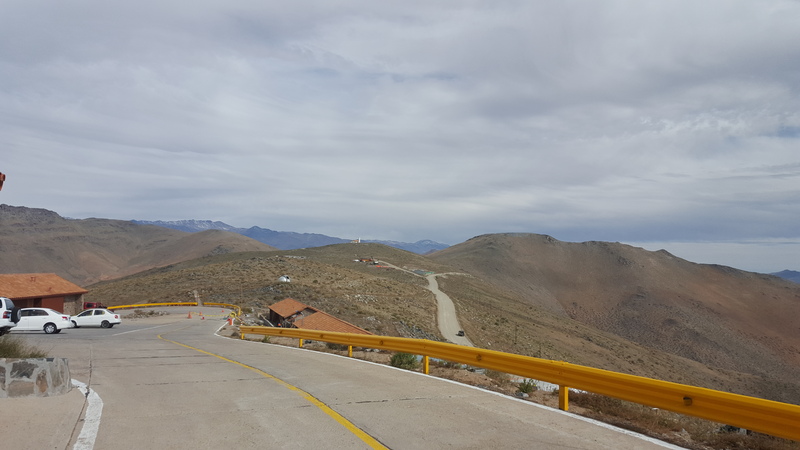 In fact, La Silla is just down the road from LCO. 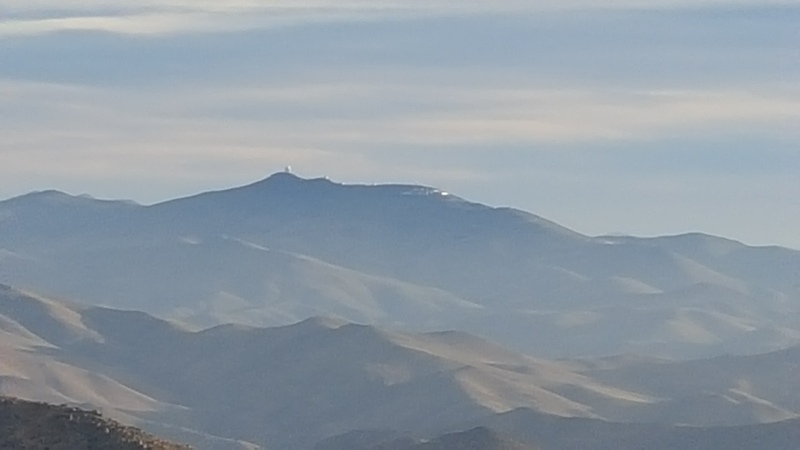 Seeing La Silla (even from a distance) was rather cool to me, as my home institution (the University of Oklahoma) does ongoing disk research with telescopes there. 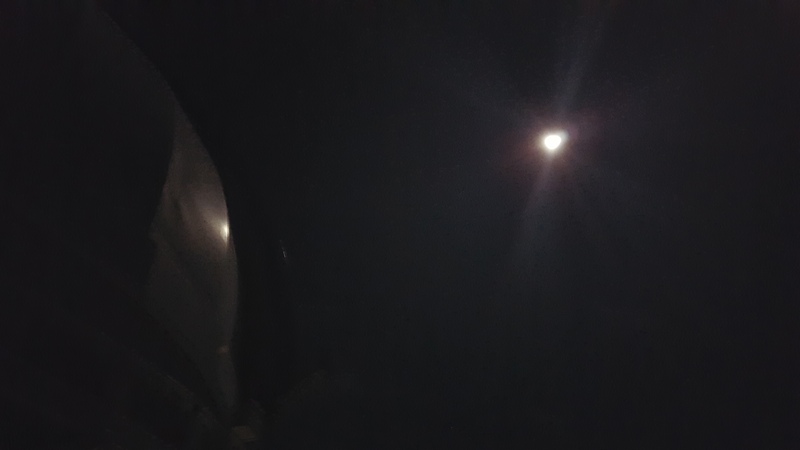 There was a decent amount of haze and cloud cover on the third night. While it made for delightful sunset pictures, it also made for a comparatively rough night of astronomy. 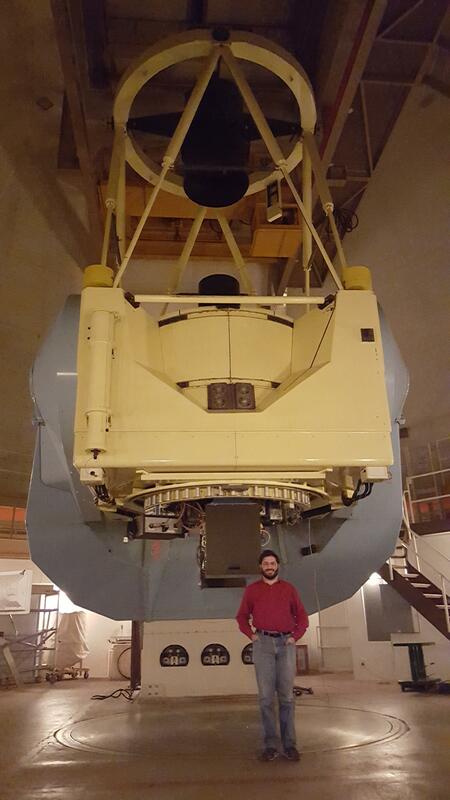 DuPont, now with an astronomer for scale, after the last night of observations. 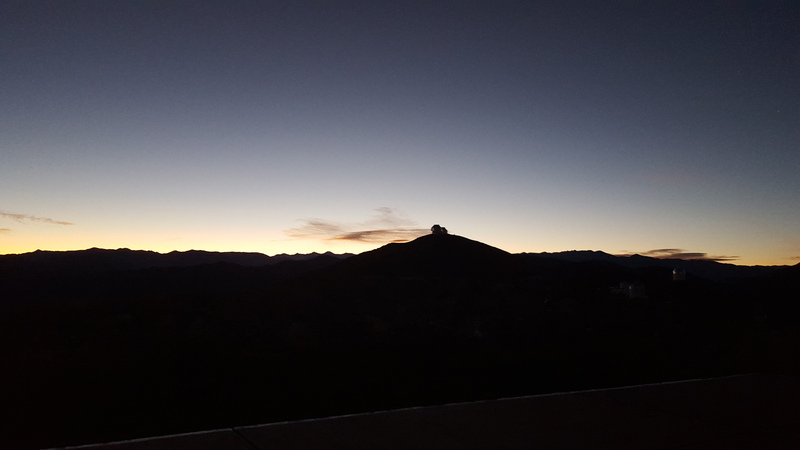 The telescope did very well, despite the cloud issues–we were able to image another 39 targets, bringing our total for the observing run to 98 targets imaged. As the Sun rose after night 3, I tried to get as many images captured as possible, to try and capture everything about the end of the run. 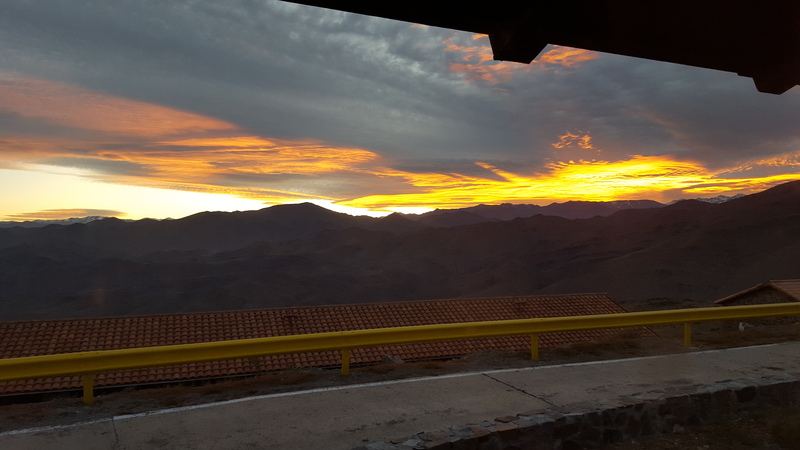 This was the sunrise over Magellan. 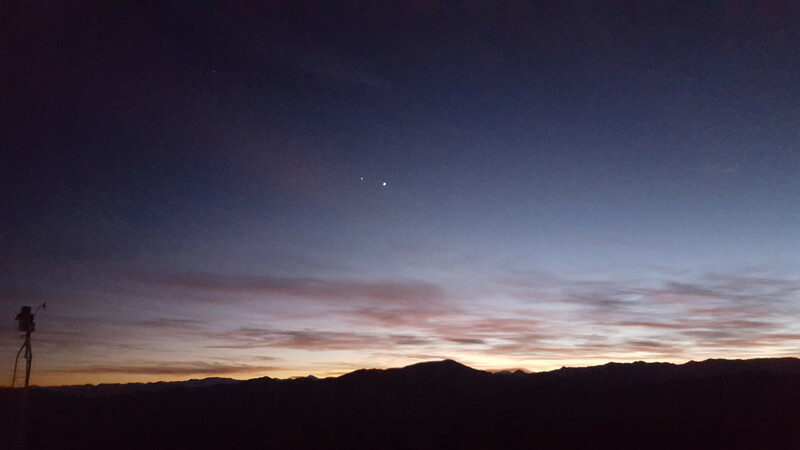 This was another, closer view of Jupiter and Venus at sunrise. The very faint dot down and to the right from Venus (around 5 o’clock) is Mars! DuPont served us well on this run. The telescope worked very smoothly, all things considered, and we were able to collect data on ninety-eight Disk Detective Objects of Interest, which we’ll be analyzing soon. Once that’s done, we’ll let you know what all we found from what you found!